Daughter of The Dragon. AICN’s Russ Sheath speaks with actress Jessica Henwick aka Marvel’s Colleen Wing, about Season 2 of Netflix ‘Iron Fist’. 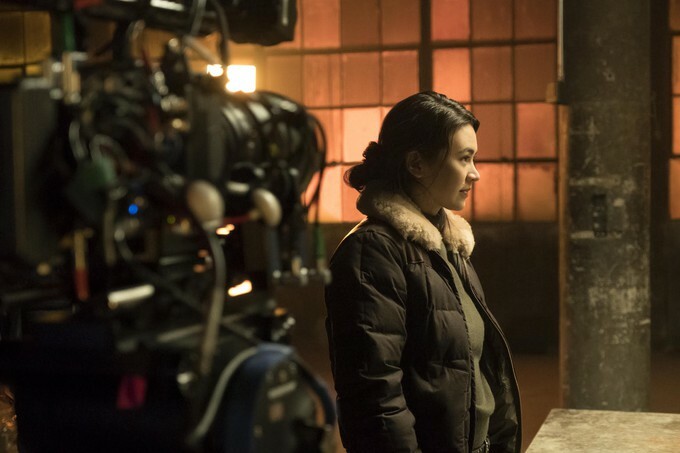 Today with an interview from AICN’s Russ Sheath speaking with actress Jessica Henwick aka Marvel’s Colleen Wing aka Daughter of the Dragon, about Season 2 of Netflix ‘Iron Fist’. Of all the characters appearing in Netflix raft of Marvel shows, Colleen Wing, who has appeared in Iron Fist, The Defenders, Luke Cage Season 2 and in the upcoming Iron Fist Season 2, has proven a fan favorite. Portrayed by Jessica Henwick, the actress who has cemented her geek credentials appearing in Game of Thrones and Star Wars The Force Awakens, Colleen Wing is fan favorite character destined to play an increasingly important role in both Danny Rand’s and the Defender’s lives. Russ Sheath spoke with Jessica Henwick about Iron Fist Season 2, which debuts on Netflix on 7th September. Russ Sheath (RS): Jessica, thanks for speaking to us today. Can you tell us how we find your character, Colleen Wing, at the start of the new season of Iron Fist, coming out of The Defenders and following on from that fantastic tease of Colleen appearing in Luke Cage Season 2? 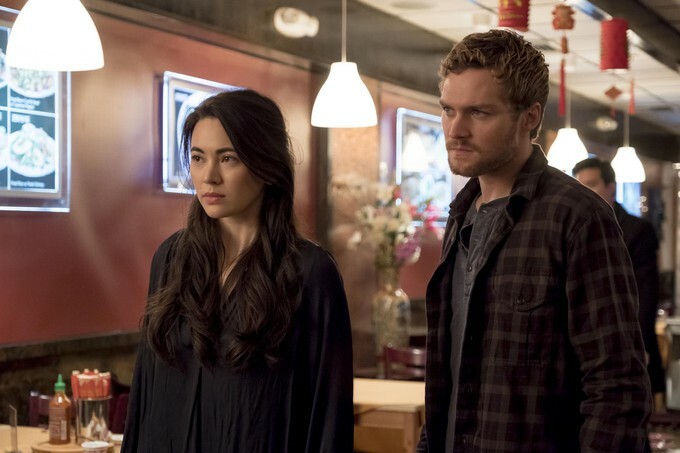 Jessica Henwick (JH): We find Colleen in a really interesting situation, in that she has closed down the dojo, given up teaching, given up fighting and she’s hung up her Katana on the wall to spend her time doing volunteer work. It’s a very different Colleen that we find in Season 2. She’s trying to live a normal life and be a good girlfriend until Misty (Knight) comes in halfway through the season and kind of shakes her and asks her what is it that she want to do with her life. In the same way that Colleen had previously shown Misty the light..in season 2 it’s Misty’s turn to help Colleen find her own path. Russ Sheath: How far in advance do you know the storyline and character arc for an upcoming season? JH: You receive the scripts as you progress through shooting and although they try not to tell you anything, inevitably the crew and different people know things and share them. So about halfway through I knew the end game, but not so much how the character gets there. RS: What were you most looking forward to in portraying Colleen in the second season of Iron Fist? JH: I was literally just so excited to work with Simone (Missick), who is such an amazing actress and I know that whenever our characters are together something amazing starts to happen. We bring out a different side in one another, that you don’t see very often, as the characters are kind of lone wolves. It’s great to see these two strong female characters come together not as adversaries but as teammates. RS: Comic book readers know that the relationship between Colleen Wing and Misty Knight is a key one and something that Marvel fans have been looking forward to. How does that relationship evolve over season 2? JH: The relationship is evolving in a sense that at the beginning of this season and in Luke Cage, these aren’t two women who have a lot in common. They are different ages and from different worlds and are hanging out because they kind of owe each other. In this season we see that they do have a lot in common and we are building the groundwork of the relationship here. RS: The great thing that Netflix does in all of it’s Marvel series is that they look to the source material for inspiration, but aren’t beholden to the comics. When it comes to portraying Colleen, is having that source material helpful? JH: In Season one, Colleen was a little bit more similar to her comic book counterpart but at the start of this season we find her being something of a housewife, which isn’t something that is in the comic books. We definitely go ‘off book’ this season and where this season ends up has never been done before in the comic book world and takes us in such a sharp change of direction that I don’t think we could circle back to the comic book world. RS: Colleen has become such a fan favorite character, out of all those featured across the Netflix shows and she’s so many different things to the show, being the audience point of view to some degree and in season one an unwitting victim of the Hand. Was there any part of Colleen’s character you were looking forward to exploring further, coming into this new season? JH: In season 1, part of what drew me in was the idea that it was all a lie. Although she meets Danny innocently, after that she’s spying on him for the Hand and her job is to bring him in. So I found that aspect of the character really interesting, the idea of a character playing a character almost. That was definitely a selling point for me. RS: When it comes to fight sequences, having seen half of Season 2 myself, I can say without being too spoilery that this season features one of my favorite fight sequences of any of the Netflix shows. You are no stranger to fight sequences and choreography, how did you prepare for that and do you find them easier or more challenging, the more you do? JH: I definitely think that my martial arts have improved over the last few years and I’ve definitely got smarter in certain ways, especially when it comes to pacing and approaching those sequences. In Season 1 I burnt myself out and learned that it’s definitely a marathon, not a sprint. The fight sequences are rehearsed as soon as we can, sometimes its two weeks before the shoot and sometimes it’s two days before, It varies quite a bit. We had a great stunt coordinator this season and I have a lovely sound double called Ellette, so I think the fans are going to be happy with the fighting. With experience, my viewpoint has changed, in season 1 I was always like “put me in, put me in”. I never wanted my double to do anything, but of course, she did whether for insurance reasons or because of moves I’m incapable of doing. In this season I understood it more which gives you perspective and means you can watch the action, which you can’t do if you are performing in the scene. It also saves you for a six-month shoot, you have to learn when to tap in and tap out. RS: Where can we see you next? JH: I have a film coming out called Underwater. I’m really excited about it, where it’s basically a group of researchers who are trapped under the ocean and have to make their way back to the surface. It’s a sci-fi thriller…so it’s a genre piece again (laughs). It’s not intentional and honestly, I don’t intend to just make genre pieces, but there are so many great genre films being made. RS: What happened to your Star Wars character in The Force Awakens? Was she killed? I understand there are so many characters in those films and my character has been in a comic book series and there’s a book about her, so she’s lived on. I know it’s a challenge to fit everyone in but I’m keeping my fingers crossed that they give me a call. Thanks to Jessica Henwick for talking with AICN. Iron Fist Season 2 debuts on Netflix 7th September.